So, I think I'll now stick to a 2/3 reinvest - 1/3 cashout plan from now on..
Congrats on your payment SS. FamilyClix has proven to be my #1 source of income for 2016 so far! So, here I'm summing up all my payments from FamilyClix in one screenshot. Things go relatively well there since based on my deposits I'm exactly at my ROI right now and everything from now on will be pure profit. A large part of it comes from Rui's work, so many thanks to him as well! But also due to our team work on the program some of it is coming from even lower tiers, including MM and you Dan, so my thanks go to all of you! Glad to be part of the teamwork! During April I intend to upgrade to mommy membership.. if everything goes according to plan. Congratulations SS. That looks nice. A program has never proved to be so stable and profitable for so long for me in the past, so I'm really happy with FC! It's been a while since I posted my payment proofs here, and it's time to fix that. 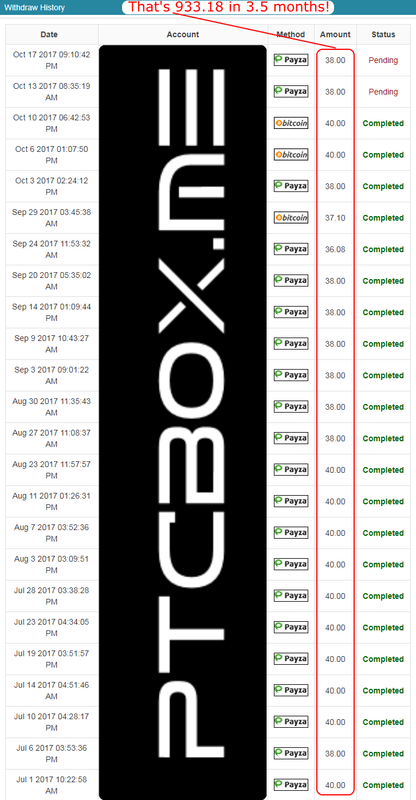 I've made a summary of all my payments since I got the mommy membership in FamilyClix and posted it in the FC forum to inspire a few members after the recent changes. Not sure if it looks bad with 2 pending payments but well, the overall image is inspiring I think. Let's hope it will keep going that way! I will transfer some of my focusing to FamilyBTC to be able to increase my withdrawal speed whenever I need to prepare for a promo etc. Upgraded membership in FBTC states that there is no withdrawal limit which is also cool.